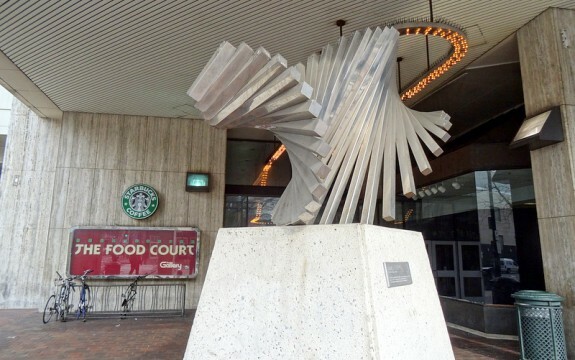 James Rouse, a well-regarded shopping-center designer, was hired by the Philadelphia Industrial Development Corporation and Philadelphia's Urban Redevelopment Authority to design the Market East Shopping Center (also known as the Gallery) in the 1970s. 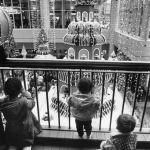 The Gallery was part of PIDC's larger efforts to attract shoppers back into the heart of Philadelphia by creating a shopping experience that rivaled shopping at suburban malls. Opened in 1977 and expanded in 1984, the Gallery has four floors of climate-controlled shopping and office space. In this view from 1977 when construction was still in progress, Gimbels department store is visible at the corner of Ninth and Market Streets. Over time, the anchor retailers have changed, and Gimbels was succeeded by Stern’s, then Clover, then Kmart, which closed in 2014 after a decade in that location. In addition to providing commercial space for businesses, the Gallery acts as a transportation hub for the SEPTA and PATCO subway systems, and provides workspace for other Philadelphia business and agencies. 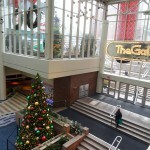 Like other shopping malls, the Gallery provides a range of events and seasonal scenes to entertain shoppers and bring additional people into the mall. Publicity events with entertainers or theater promotions last for a limited time, but holiday-related motifs such as Easter or Christmas displays provide shoppers with seasonal atmosphere. 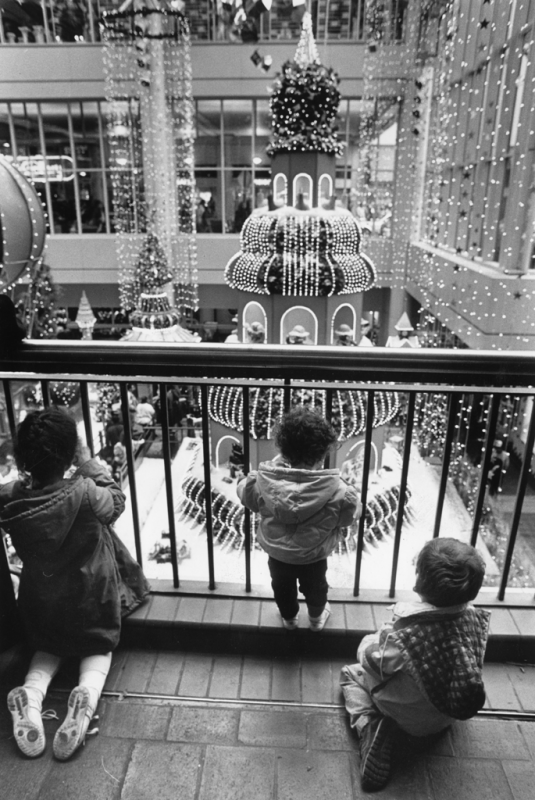 During the holiday shopping season in December 1990, these children peered through the railing to view the "winter wonderland" assembled in the courtyard below. 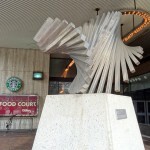 The Rouse Company incorporated elements of suburban shopping malls, such as expansive open spaces and modern-art displays, into the Gallery's urban city environment. Since the primary floor of the Gallery was underground, skylights were employed in the main courtyards on each side of the mall, bringing natural light to the lower floors and reinforcing the open design. 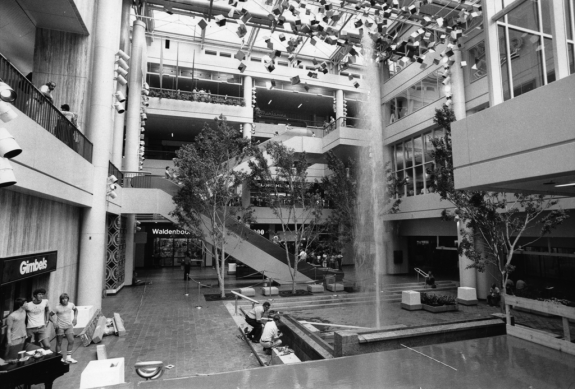 This picture of the courtyard at Market and Ninth Streets in 1977 shows an art display of metallic cubes hanging from the ceiling, while the open space on the floor contains small trees, and a water fountain. The scene was much the same in 2014, except the water fountain had been eliminated. 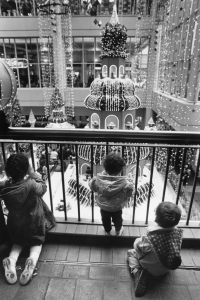 Following the birth and success of suburban shopping malls, the Gallery at Market East was Philadelphia’s attempt to revitalize the city’s deteriorating retail environment in order to lure suburban shoppers back to Center City. In an effort to emulate the popular suburban shopping experience, Philadelphia urban planners created an enclosed, multistory shopping center and attempted to integrate it into the urban landscape of offices, transportation, and existing retail. While the Gallery did not live up to the lofty expectations of its designers and builders, its developers and managers continually adapted the space to compete within a changing retail environment. Center City’s many department stores were a regional destination for shoppers in the first half of the twentieth century. However, in the years after World War II shoppers increasingly bypassed Center City in favor of new suburban shopping malls. In an effort to reverse this trend, early studies sponsored by the Philadelphia Redevelopment Authority proposed a massive project that combined street and subway-level retail with office towers, parking, ramps to the Vine Street Expressway, and public transportation connections including a rail tunnel, intercity bus terminal, and an above-ground busway. High costs eventually made it necessary for the Redevelopment Authority to scale down the project. 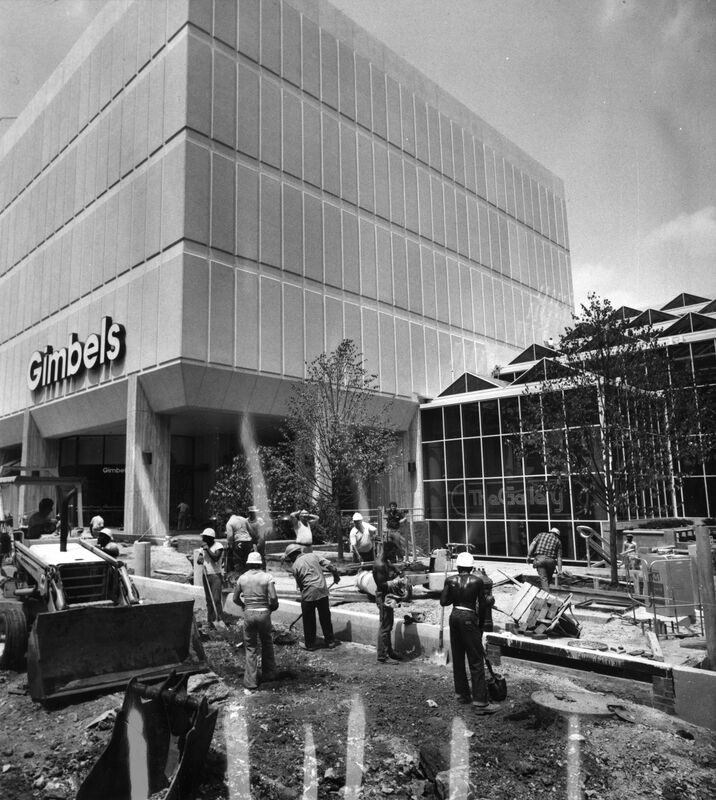 The first stage, Gallery I, opened by the nationally recognized mall developer the Rouse Company, in 1977, connected the existing Strawbridge & Clothier department store and a relocated Gimbel’s department store with four levels of smaller retailers in a suburban mall-style environment. Rouse brought a high level of management experience to the project, which helped to overcome some of the stigmas attached to downtown developments. For example, in comparison to its suburban malls, the Rouse Company deployed a larger security force at the Gallery to ensure that customers felt safe in the new urban space. After Gallery I’s successful opening, city leaders pushed forward with the second phase, Gallery II, which added an additional department store, J.C. Penney, along with another four-level block of retail. The city also began construction on the Center City Commuter Rail Tunnel, which included a station attached to Gallery II. 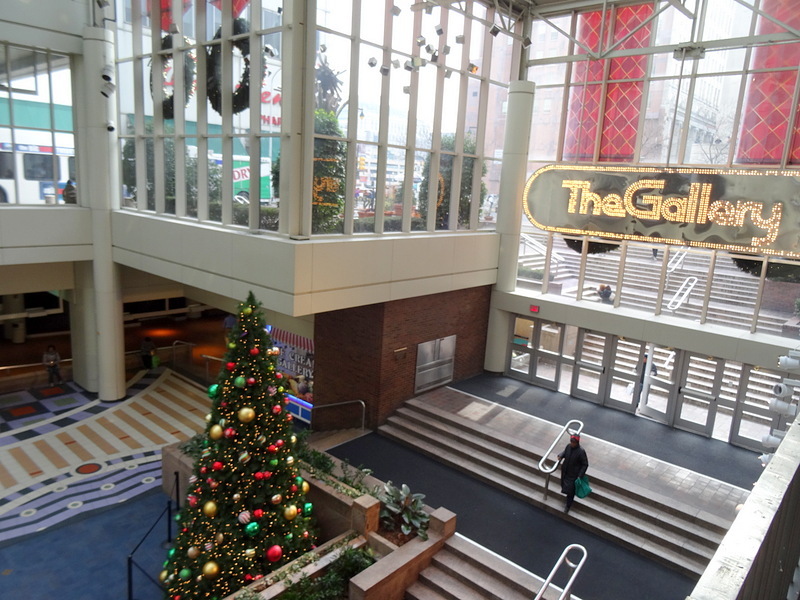 The Gallery faced its share of difficulties: The tracks leading to the commuter rail tunnel were shut down for repairs in 1984 and 1992-1993, civil rights leaders used it as a stage for protests in the early 1980s, and the difficult retail market caused the closure of many stores due to consolidations in the 1990s. Anchor stores changed as department stores merged, closed, or moved, with spaces filled at various times by discount retailers like Stern’s, Clover, K-Mart, and Burlington Coat Factory. Detractors contended that the Gallery was a lifeless hulk and negatively affected retail in the surrounding neighborhood. 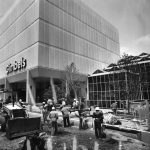 While the mall was far from being a model for urban redevelopment, it was not lifeless. The suburban shoppers for whom the mall was originally built never came in the numbers hoped for, but the complex with its convenient transit connections quickly became a destination for city shoppers who could not easily travel to suburban shopping malls. 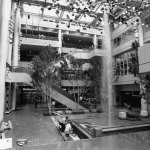 The underperforming upper floors of the mall and parts of the anchor stores were converted into offices for numerous companies including the Philadelphia Inquirer, the Daily News, and various state agencies. In 2014, Century 21, an upscale New York area retailer, replaced the long dormant Strawbridge’s, and plans called for the demolition of the central anchor store to open up the space, provide more integration with surrounding streets, and allow for more small retailers. As the mall began to evolve into a mixed-use facility, its developers once again aspired to revitalize an ailing Market East. Sean McComas teaches government and economics at Kennard-Dale High School in Fawn Grove, Pennsylvania, and holds a master’s degree in history from Millersville University. Frieden, Bernard J. Downtown, Inc: How America Rebuilds Cities. Cambridge: MIT Press, 1991. Heller, Gregory L. Ed Bacon: Planning, Politics, and the Building of Modern Philadelphia. Philadelphia: University of Pennsylvania Press, 2013. Novack, Janet. “The Gallery Is No Picnic to Manage.” Evening Bulletin. January 11, 1979. Rybczynski, Witold. Makeshift Metropolis: Ideas About Cities. New York: Simon & Schuster Inc., 2010. Sheehan, Kathy. “New Mall Makes Phila. Stand Tall.” Evening Bulletin. August 8, 1977.